Kris wrote several stories about the monumental lawsuit filed in Florida that challenged President Obama's landmark Affordable Care Act law. Thirteen attorneys general from across the country filed a lawsuit in Pensacola on Tuesday challenging the Democrats' health care plan almost immediately after President Barack Obama signed it into law. Florida Attorney General Bill McCollum, who is a Republican gubernatorial candidate, was joined by a dozen other attorneys general in the lawsuit that seeks to challenge the constitutionality of the new law. The suit was filed in U.S. District Court for the Northern District of Florida. Senior Judge Roger Vinson was assigned the case. The other states represented in the lawsuit are South Carolina, Nebraska, Texas, Utah, Louisiana, Alabama, Colorado, Michigan, Pennsylvania, Washington, Idaho and South Dakota. All of the attorneys general are Republicans except for James "Buddy" Caldwell of Louisiana, who is a Democrat. · The bill's requirement for individuals to purchase insurance is an illegal expansion of Congress' ability to regulate interstate commerce. · The penalty for those refusing to buy health insurance is, in effect, an unfair tax. Some legal scholars say those arguments are a stretch as the Constitution says federal laws override those of the individual states. "Many of those have been answered in previous Supreme Court decisions," said Jay Wolfson, a health care attorney and law professor at Stetson University College of Law and the University of South Florida. "We all pay directly or indirectly for health care, and therefore, it's difficult or absurd to say that I am going to get sick and I'm not going to use it, so I'm not going to pay. The odds are that's not true." Wolfson said that the federal government already imposes cell phone fees and telecommunication fees that are tantamount to interstate commerce. "There is very little that is no longer subject to the provision of interstate commerce," he said. "There are very few insurance companies that are confined into one state." Regardless, Wolfson said it would be interesting to see U.S. Supreme Court, led by Chief Justice John Roberts, hear the case. But he said it's hard to imagine that it would strike down the law. Some states are considering their own lawsuits and while others may join the multistate suit. McCollum pushed the lawsuit in the weeks leading up to the bill's passage. He said the federal government cannot constitutionally require individuals to obtain health coverage. He is also arguing the bill will cause "substantial harm and financial burden" to the states. "This law represents an unprecedented encroachment on the liberty of the American people, and I will pursue this litigation to the highest court if necessary," he said. Mark Seigel, a former federal prosecutor in Florida's Middle District, said the case likely could be thrown out of district court as a political skirmish between different branches of government. "A lot of courts will look at this and say the question is so easy and that the real fact is that this is a political lawsuit," Seigel said. "If a judge concludes this is one branch of government complaining about what the other branch of government is doing, it will be dismissed." But Seigel is quick to note that many legal experts also came to the same conclusion in the Bush v. Gore case during the Florida recount in the 2000 presidential election. That case reached the U.S. Supreme Court, which eventually ruled in Bush's favor. At least a portion of a lawsuit challenging the health care legislation will proceed, a federal judge who presided over a first-round hearing on Tuesday said. Senior U.S. District Judge Roger Vinson said he likely will dismiss several of the five counts alleged in the challenge to the Affordable Care Act but will allow the suit to proceed under at least one count. The Obama administration had asked Vinson to dismiss the entire lawsuit, and he didn't say which portion of the case will go forward. He will issue a written opinion before Oct. 14. Then, on Dec. 16, Vinson will hear motions for summary judgments from the federal government and the states challenging the law. The case likely will end up before the U.S. Supreme Court. Florida Attorney General Bill McCollum filed the lawsuit in Pensacola minutes after President Barack Obama signed the bill into law in March. Since then, 19 states and a small business lobbying group have joined the suit, and most recently a judge in Virginia decided a similar lawsuit should proceed. "It's terrible constitutional law, and it's rough on the states in many, many ways that a lot of people can't foresee," McCollum said at a news conference after the hearing. "Today's arguments were complex in many ways. They presented the judge all the technical issues, but they also gave us a glimpse into what the future is going to hold as this judge proceeds to rule." More than a dozen spectators joined a throng of national media in the courtroom Tuesday. Martin and Barbara Ann Riley, who came from their home in Navarre, said they support McCollum's suit. "They're taking too many of our rights away," said Martin Riley, 77, a retired construction worker. "We can't afford to lose any more. This is telling me what I have to do, telling me what I have to pay with no concern for me whatsoever. I don't have the right to choose whether I even want it or not." If Vinson upholds the states' challenge, he would overturn decades of law enforcing the federal government's power to regulate interstate commerce, said Ian Heath Gershengorn, deputy assistant attorney general. "This court is free to disagree with Congress' policy judgments but it is not free to overturn 75 years of constitutional law," he said. The law requires those who do not qualify for Medicaid or Medicare and those without private insurance to buy into insurance exchanges. Those who choose not to carry insurance will be subject to a tax penalty, which challengers to the law say is unconstitutional. The law also expands the Medicaid program - which insures the poor - by allowing in more people. Attorneys opposing the law said it will make Medicaid unmanageable for states, which partially fund the Medicaid program. The challengers said the law radically transforms Congress' ability to regulate interstate commerce, expands the federal government's power over the lives of its citizens and affects state sovereignty. Blaine Winship, who represented the state of Florida, said Medicaid was "transformed far beyond its purpose." "It's quite a budget buster for us in the states," he said. The government estimates $43 billion in "cost-shift" forces the insured to pay for those who go to the hospital but don't pay. Gershengorn argued for the federal government that states can opt out of the Medicaid program if they choose. The federal government will fully fund the Medicaid expansion for three years after the law takes effect in 2014. After that, it will fund 90 percent of the program. The Congressional Budget Office estimates the cost to the states at $20 billion. Winship said the federal government painted states into a corner by saying states can simply pull out of the Medicaid program. By doing so, other state social programs that receive funding through Medicaid - like Florida KidCare - also would lose funding, he said. "We really can't afford to do that, your honor," he said. "Congress obviously expected that the states would not drop Medicaid." 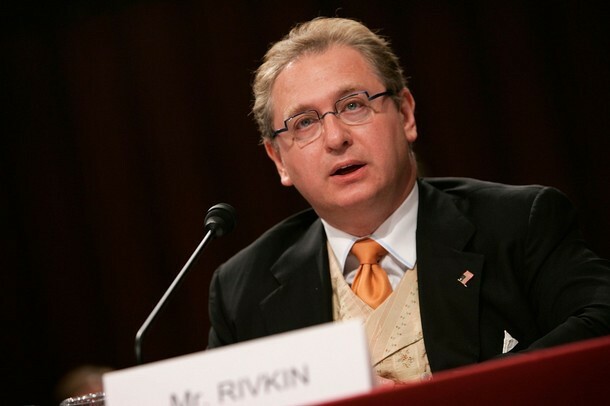 Constitutional law attorney David Rivkin, a longtime critic of federally funded health care, said it's beyond the scope of the government to require its citizens to participate in the health care market and to punish those who choose to not do so. He said the tax penalty punishes inactivity of citizens. "If the Commerce Clause allows Congress to force Americans to obtain health insurance, there's no limit to the government's powers," he said. Gershengorn said everyone uses the health care market at some point in their lives, meaning those who choose to ignore the health care mandate and pay the penalty will eventually take advantage of the health care system. "They have not opted out of the health care market," he said. "They have in some respects opted out of the insurance market."